Why do you need an Aptitude Test? Are aptitude tests worth the time and money spent? If we consider two individuals who have had equal opportunities to learn and develop a skill, attended same on job training and classes, studied the same syllabus and practiced the same time to master the skill. However; one of the individual is able to attain the skill very easily whereas the other one needs and takes more time to attain the same skill set. This difference in both the individuals is the APTITUDE, usually known as ability. A few of the objective aptitude tests follow timed pattern for sub tests and the results of which are evaluated keeping in mind various criteria including gender and age group. This is not the case with self assessment testimony records of aptitude or skills sets which are usually the integral part of automated vocational exploration systems. In order to render assistance to individuals looking for an appropriate career – syllabus – employment experience program; aptitude test may prove to be a guiding star. Individuals falling in category of high school students, fresh college graduates, unemployed and looking for jobs, employed professionals looking for career development or career advancement may approach this assistance; as it may change their perception about their own self. It gives you an insight on varied segments such as academic or occupational interest and career change.These are some of the best career aptitude tests to help you find the perfect job and test your career strengths. Different types of aptitude tests are designed specifically to test your ability with best online career assessment test. A few tests also go to the extent of helping you out with a manual which may yield you the max benefit of the report. Attempts are being made to refine a lot of aspects of an individual’s academic and personal attainments into a descriptive and recommended academic, career path. One may come across various aptitude tests and theories to get the optimum and appropriate outcome of this exercise. 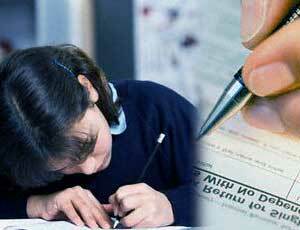 Scholastic Aptitude test may be termed to be a miniature form of these aptitude tests. Individuals are been assessed for their strongest knowledge areas. Individuals needing improvement with numbers would not be suggested accounting and engineering syllabus or careers. People facing challenges with English are suggested to stay away from careers and courses in Public relations. A few of the segments in such aptitude tests tend to be more mysterious; specially designed to gauge the grasping power and logical thinking of individuals. Each of the sections are crafted in a manner that it can be linked to some or other career aspects and outcome of which is been used by the test administrator to decide and advice what you are good at and the areas of improvement. Individuals start feeling stressed at jobs as are not able to cope up the pressure and requirements of their jobs and they feel they are into something that is not of their interest. It is known as JOB MISMATCH which is one of the major causes of employees leaving the job or employers termination them on account of non performance. People usually do not perform up to the mark as they lack that particular skill set and find it very tough to perform which leads to a feeling that my work is not interesting enough.The entire process involves wasting of valued resources, time and money for both the employee and the employers. At the same time Aptitude tests are known for offering in depth idea about the personal goals, preferences, working patterns and interpersonal skills of an individual. This is beneficial to the employer and the employee as well. The employer while recruiting an individual knows the best fitment whereas the employee or the prospect job seeker knows the profession and the company or the organization to approach to. This saves all from revisiting the decision in future and the saves on a lot of time and energy.These aptitude tests might not prove to be accurate; but for sure are of great help ensuring a better pathway. Keep reading our blogs to know more about how to prepare for a recruitment aptitude test?